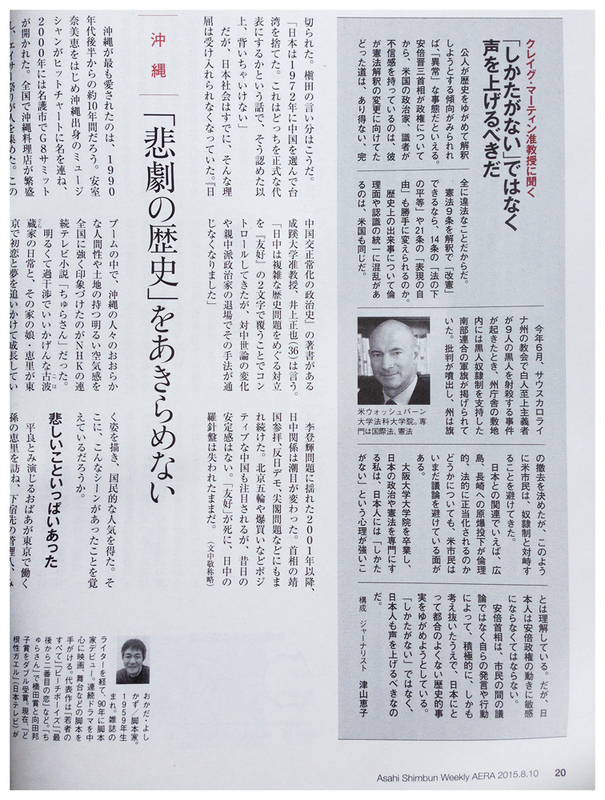 This interview, titled (roughly) “Speak Out Against the ‘It Can’t Be Helped’ Way of Thinking”, was published in the August 10, 2015 issue of AERA, Japan’s highbrow weekly newsmagazine. It was a special issue devoted to the 70th Anniversary of the end of World War II. It unfortunately attributes some of the comments I made in relation to Article 9 of the Constitution, and how the public should respond to efforts of the current government to reinterpret that provision, to my views on Prime Minister Abe’s tendencies towards revisionist history.